So Rick and I recently discovered something amazing. Our local movie theater has a special every Tuesday, where all tickets are only $5. $5! How did we not know this before? We don’t see movies in the theater all that often, but we might just have to change that. Tuesday night date night, anyone? In order for us to get to a movie (and therefore get home) at a decent hour, I decided to make sure I had a crockpot dinner ready and waiting for us after work. 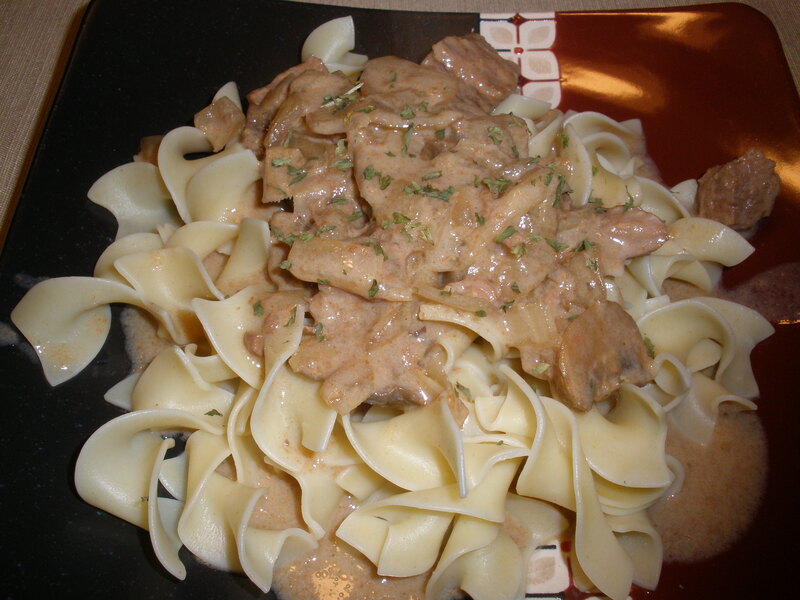 This Beef Stroganoff was perfect for that, and delicious, too. The sauce was just a bit too runny for my taste, but next time I make this I might play around with that, perhaps by adding a little more flour, or by draining some of the liquid from the crockpot before adding in the sour cream mixture. Place beef, mushrooms, onions, and garlic in crockpot. Add the broth, salt, and paprika. Cook on low for 7-8 hours, or high for 5 hours. At end of cook time, mix the sour cream, flour, and mustard together in a small bowl. 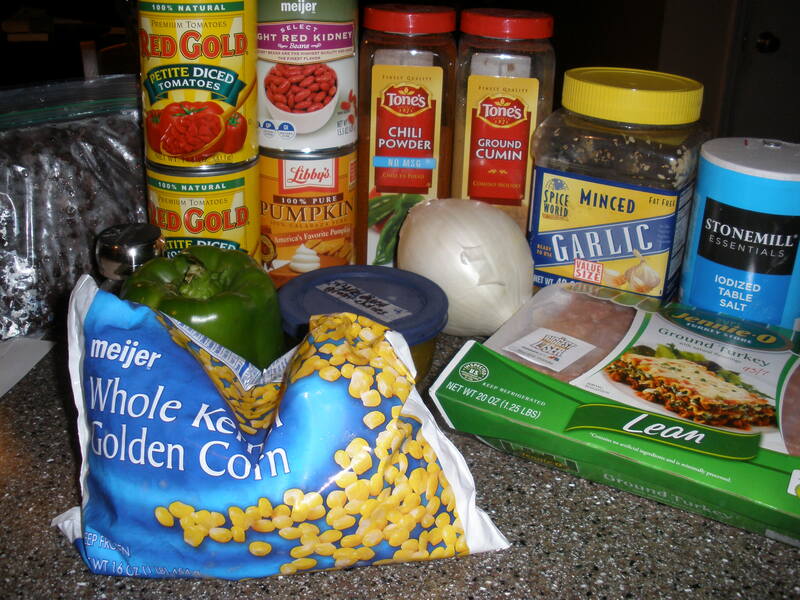 Stir this mixture into the ingredients in your crockpot until everything is well blended. Cook on low for about 15 minutes until everything is heated through. Serve over egg noodles and top with parsley, if desired. Mmm. There’s nothing better than a good hearty soup or stew when the weather gets cold. It’s the one thing that (almost) makes me look forward to winter! Shirley J recently approached me about reviewing one of their products, and I jumped at the chance. As you can probably guess, I’m always looking for new crockpot recipes, so I was excited to possibly add something new to my repertoire. 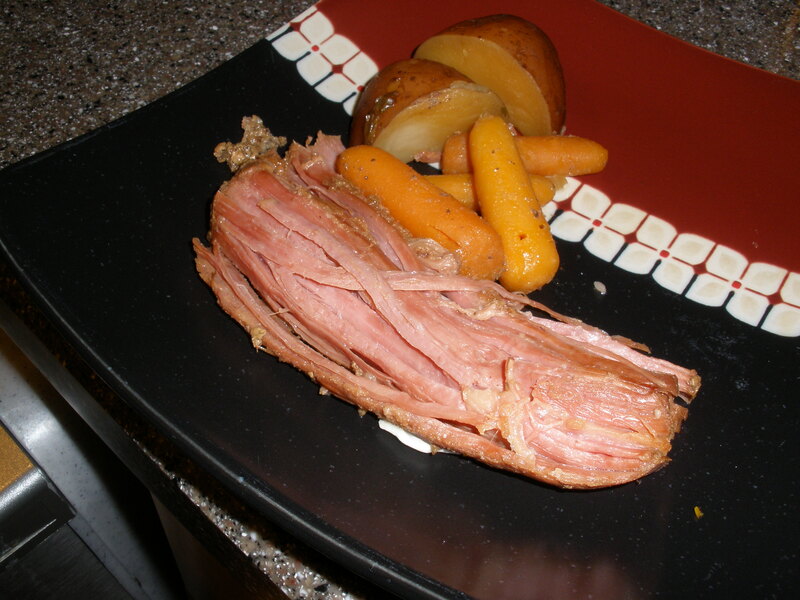 I reviewed the Shirley J Dutch Oven & Slow Cooker Beef Seasoning. According to their website, when mixed with water, this seasoning produces a gravy that will season and moisten meat as it cooks. My review: When I first read the recipe for this Chunky Beef Stew, I was shocked at the amount of beef seasoning it called for: 1/3 cup. This seemed like a bit much to me, but I made the recipe as is. At the end of the cook time, the stew smelled fantastic. I was so excited to dig in! However, after taking my first bite, the dominant flavor was salt. The seasoning made this stew very, very salty, and at first, I thought it would be too much for me. I do feel like I am more sensitive to salt than some people, and Rick didn’t seem overly bothered by it, but for me, it was way too salty. 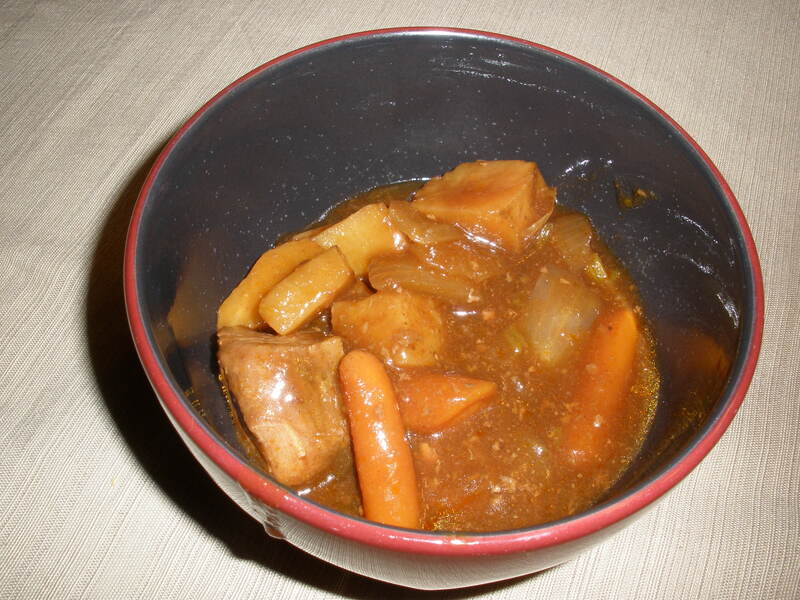 Other than the salt, the beef stew had a really good flavor. The gravy wasn’t too thick, so it was perfect for a beef stew. I plan on playing around with this seasoning a bit more (but in smaller quantities), so look for those recipes in the future! Chop all vegetables into hearty chunks. 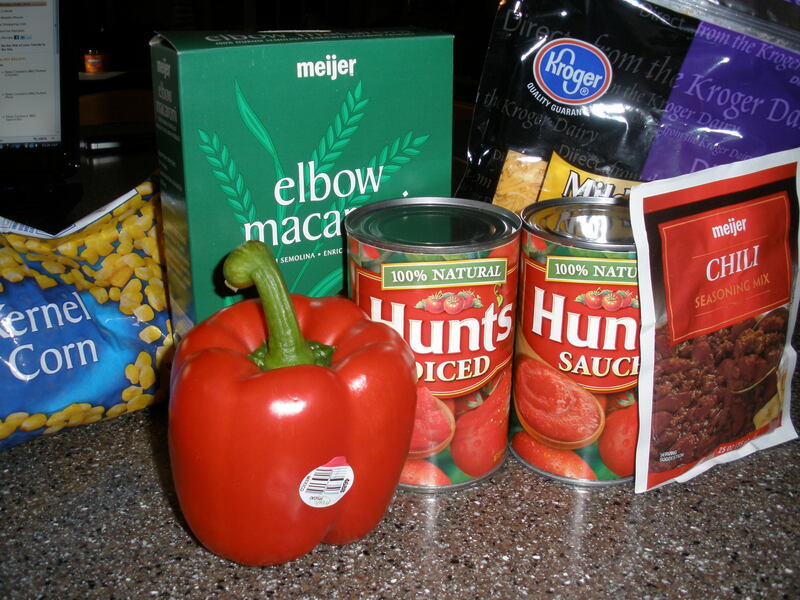 Mix water and beef seasoning and add to your crockpot, along with the remaining ingredients. Cook on low for 10-12 hours or on high for 4-6. Enjoy! I’m not really sure why this recipe is called American Chop Suey. Another name for it could be beef and macaroni. Well, whatever you want to call it, it tastes pretty good! 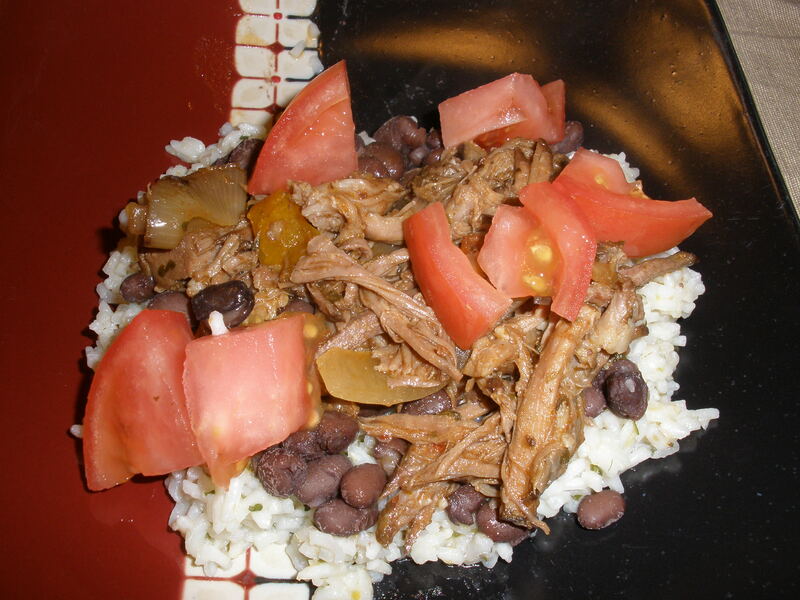 Once again, I needed a convenient crockpot recipe using ingredients I already had in my pantry (don’t you love those? ), and this one came to the rescue! This easily makes about 7 servings. 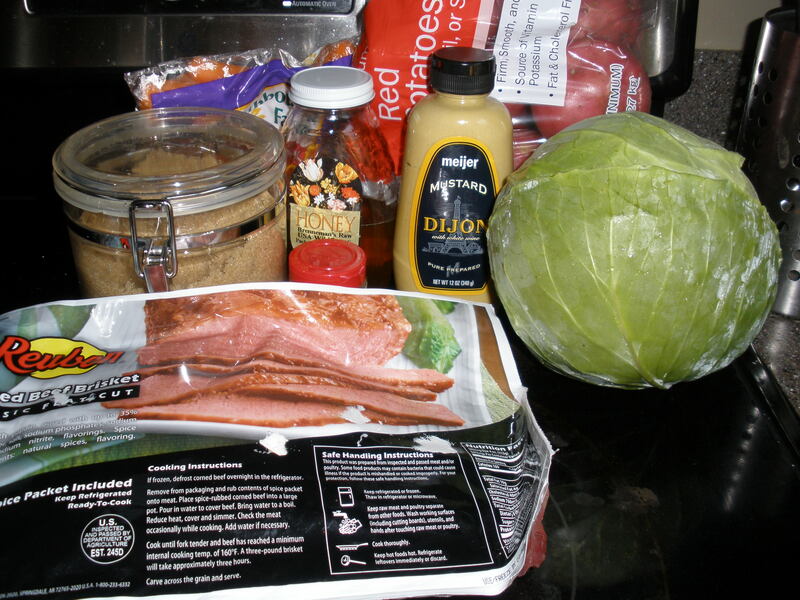 I made this recipe on Sunday and immediately packaged it up for lunches during the week. It heats up really well and was a huge time saver. I’ll be doing the same thing this coming week with black beans and rice. 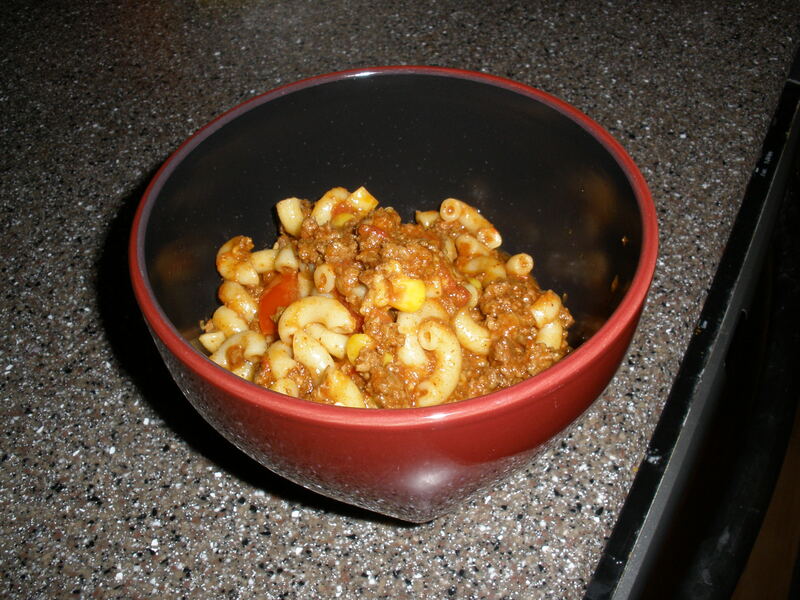 In a large skillet, brown ground beef and onion until fully cooked. 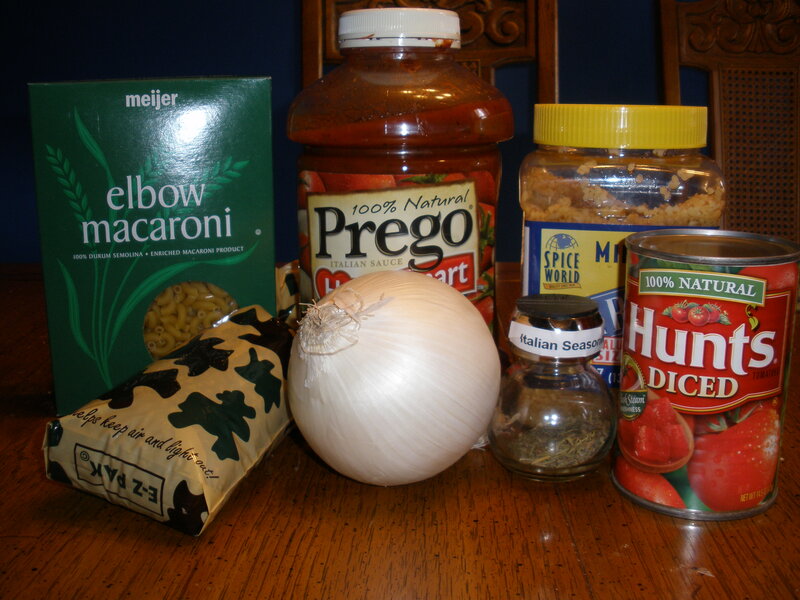 Plop the beef and onion into your crockpot, and add all other ingredients except the pasta. Stir to combine. Cook on low for 6-8 hours or high for 4 hours. 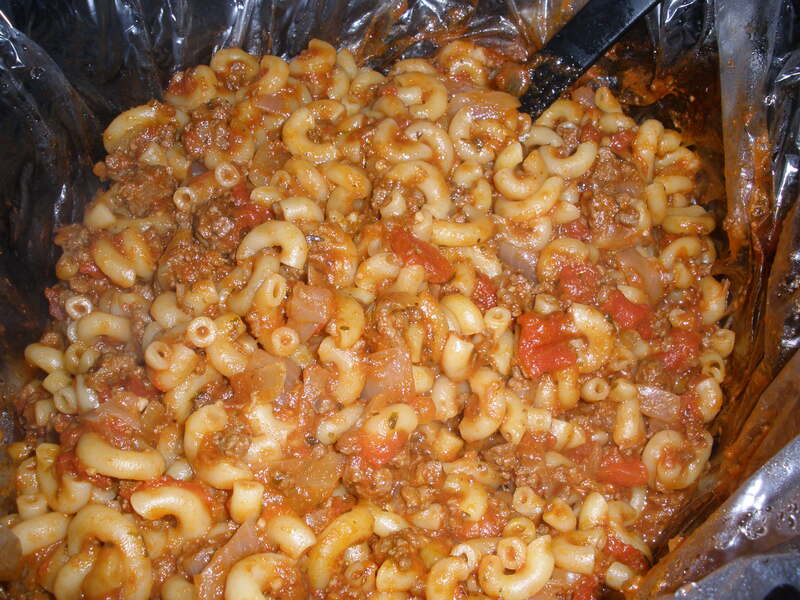 At end of cook time, add the uncooked macaroni and stir well. Cook on high for about 30 minutes. 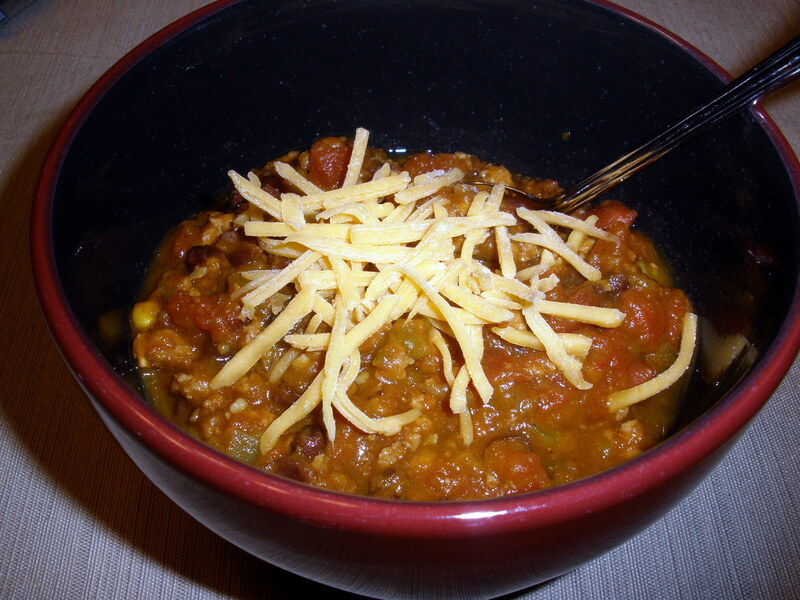 Serve topped with shredded cheese if desired, and enjoy!